"I'd deem Hazards of Love a successful endeavor, but my hope is that the band gets back to creating vignettes as opposed to full-on movements." Clearly Colin Meloy is an avid HSW reader, as he's taken my advice to heart. 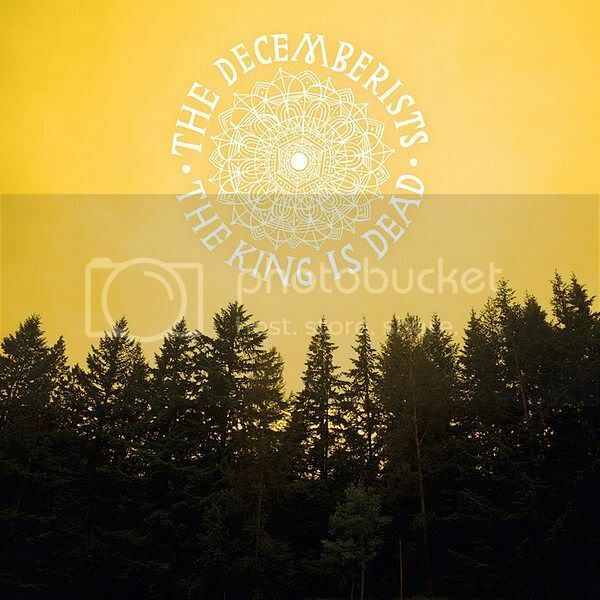 As recently reported, the D's will release The King Is Dead in January. Colin has suggested that the band is scaling back this time, and the new album is "going from reading a novel to reading a bunch of short stories." He went the literary route, but our metaphorical parallel is the same. This approach seems to suggest an album that's more in the vein of the earlier Decemberists LPs. This is a good thing. The King is Dead has already been called "The most pastoral, rustic record they've ever made" by Rolling Stone. That already seems like a wheelhouse description as far as my tastes are concerned, but the mention of Peter Buck further boosted my anticipation level. Most well known as the guitarist for R.E.M., Buck is contributing some of his expertise to a few of the tracks on The King Is Dead. While this in an of itself is more of an endorsement of the band than anything, I personally welcome his involvement because he's had something of a Midas touch: He's worked on records by The Replacements, Billy Bragg, and Eels, and produced one of my all-time favorite albums: Uncle Tupelo's March 16-20. Needless to say, I equate the combination of Peter Buck and pastoral, rustic records with quality results. Not that there is one. But, of course, there will be. Hopefully they'll come closer than Atlanta, which to my knowledge is the closest they've ever made it to Charleston. I caught them in 2006, which was particularly awesome since I was directly insinuated into the night's events (see here for a short write-up...scroll down a bit.) Fingers crossed that an announcement will come soon. New Poll: What's the Best Album of 2010?